You probably think learning how to write in Chinese is impossible. I’m a native English speaker, and I know how complex Chinese characters seem. But you’re about to learn that it's not impossible. I’ve teamed up with Kyle Balmer from Sensible Chinese to show you how you can learn the basic building blocks of the Chinese written language, and build your Chinese vocabulary quickly. First, you’ll learn the basics of how the Chinese written language is constructed. Then, you’ll get a step-by-step guide for how to write Chinese characters sensibly and systematically. Wondering how it can be so easy? Then let’s get into it. Don't have time to read this now? Click here to download a free PDF of the article. Chinese is a complex language with many dialects and varieties. Before we dive in, let’s just take a second to be clear exactly what we’ll be talking about. First, you’ll be learning about Mandarin Chinese, the “standard” dialect. There are 5 mains groups of dialects and perhaps 200 individual dialects in China & Taiwan. Mandarin Chinese is the “standard” used in Beijing and spoken or understood, by 2/3 of the population. Second, there are two types of Chinese characters: Traditional and Simplified. In this article, we’ll be talking about Simplified Chinese characters, which are used in the majority of Mainland China. There is an ongoing politicised debate about the two kinds of characters, and those asking themselves: “Should I learn traditional or simplified Chinese characters?” can face a difficult choice. When learning a European language, you have certain reference points that give you a head start. If you are learning French and see the word l'hotel, for example, you can take a pretty good guess what it means! You have a shared alphabet and shared word roots to fall back on. In Chinese this is not the case. When you're just starting out, every sound, character, and word seems new and unique. Learning to read Chinese characters can feel like learning a whole set of completely illogical, unconnected “squiggles”! The most commonly-taught method for learning to read and write these “squiggles” is rote learning. Just write them again and again until they stick in your brain and your hand remembers how to write them! This is an outdated approach, much like reciting multiplication tables until they “stick”. Most Chinese learners learnt this way. It's painful…and sadly discourages a lot of learners. Even without any common reference points between Chinese and English, the secret is to use the basic building blocks of Chinese, and use those building blocks as reference points from which to grow your knowledge of written Chinese. I like to think of Chinese like Lego... it's very “square”! The individual bricks are the components (also known as radicals). We start to snap these components together to get something larger – the characters. We can then snap characters together in order to make Chinese words. Here's the really cool part about Chinese: Each of these pieces, at every level, has meaning. The component, the character, the word… they all have meaning. This is different to a European language, where the “pieces” used to make up words are letters. Letters by themselves don't normally have meaning and when we start to clip letters together we are shaping a sound rather than connecting little pieces of meaning. This is a powerful difference that comes into play later when we are learning vocabulary. Here we start with the component 子. This has the meaning of “child/infant”. The character 好 (“good”) is the next level. Look on the right of the character and you'll see 子. 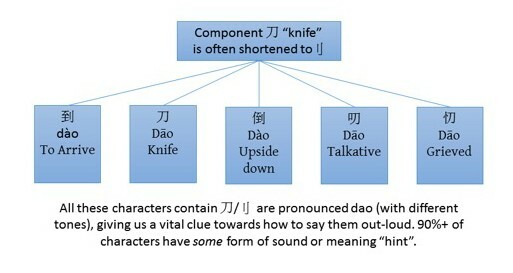 We would say that 子 is a component of 好. Now look at the full word 你好 (“Hello”). Notice that the 子 is still there. The character 好 is built of the components 女 and 子. The character 你 is built from 人 + 尔. 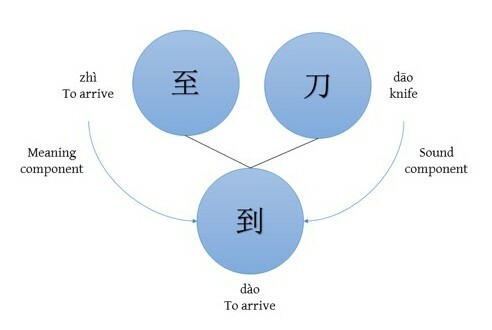 The word 你好 in turn is constructed out of 你 + 好. Now look at this photo of this in real life! Don't worry if you can't understand it. Just look for some shapes that you have seen before. What components have you seen before? One of the big “scare stories” around Chinese is that there are 50,000 characters to learn. Now, this is true. But learning them isn't half as bad as you think. Firstly, only a few thousand characters are in general everyday use so that number is a lot more manageable. Second, and more importantly, those 50,000 characters are all made up of the same 214 components. And you already know one of them: 子 (it's one of those 214 components). The fact that you can now recognise the 子 in the image above is a huge step forward. You can already recognise one of the 214 pieces all characters are made up of. Even better is the fact that of these 214 components it's only the 50-100 most common you'll be running into again and again. This makes Chinese characters a lot less scary. Once you get a handle on these basic components, you'll quickly recognise all the smaller pieces and your eyes will stop glazing over! This doesn't mean you'll necessarily know the meaning or how to pronounce the words yet (we'll get onto this shortly) but suddenly Chinese doesn't seem quite so alien any more. Memorising the pieces is not as important as simply realising that ALL of Chinese is constructed from these 214 pieces. When I realised this, Chinese became a lot more manageable and I hope I've saved you some heartache by revealing this early in your learning process! An extensive article about the 214 components of Chinese characters with a free printable PDF poster. Downloadable posters of all the components, characters and words. If you like flashcards, there's a great Anki deck here and a Memrise course here. Wikipedia also has a sweet sortable list here. TAKEAWAY: Every single Chinese character is composed of just 214 “pieces”. Only 50-100 of these are commonly used. Learn these pieces first to learn how to write in Chinese quickly. Once you've got a grasp of the basic building blocks of Chinese it's time to start building some characters! 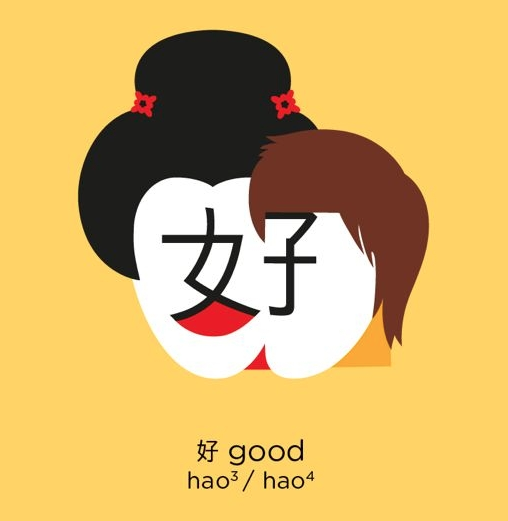 We used the character 好 (“good”) in the above example. 好 is a character composed of the components 女 (“woman”) and 子 (“child”). Unlike the letters of the alphabet in English, these components have meaning. 女 means “woman” and 子 means “child”. When they are put together, 女 and 子 become 好 …and the meaning is “good”. When learning how to write in Chinese characters you can take advantage of the fact that components have their own meanings. In this case, it is relatively easy to make a mnemonic (memory aid) that links the idea of a woman with her baby as “good”. 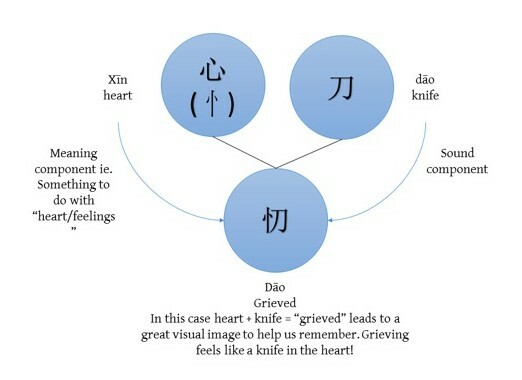 Because Chinese is so structured, these kind of mnemonics are an incredibly powerful tool for memorisation. 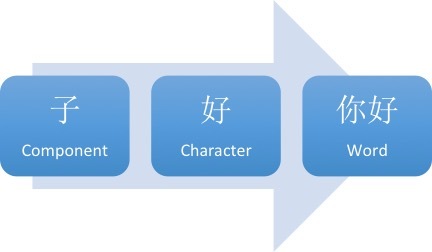 Some characters, including 好, can also be easily represented graphically. ShaoLan's book Chineasy does a fantastic job of this. Here's the image of 好 for instance – you can see the mother and child. Visual graphics like these can really help in learning Chinese characters. Unfortunately, only around 5% of the characters in Chinese are directly “visual” in this way. These characters tend to get the most attention because they look great when illustrated. However, as you move beyond the concrete in the more abstract it becomes harder and harder to visually represent ideas. Thankfully, the ancient Chinese had an ingenious solution, a solution that actually makes the language a lot more logical and simple than merely adding endless visual pictures. The solution was the incredibly unsexy sounding… (wait for it…) “phono-semantic compound character”. It's an awful name, so I'm going to call them “sound-meaning characters” for now! This concept is the key to unlocking 95% of the Chinese characters. 95% of Chinese characters have a clue to the meaning of the character AND how it is pronounced. This character is made of two components. On the left is 至 and on the right is 刀. These are two of the 214 components that make up all characters. 至 means “to arrive” and 刀 means “knife”. But how about the 刀? This is where it gets interesting. 刀, “knife” is pronounced dāo. The reason the 刀 is placed next to 至 in the character 到 is just to tell us how to pronounce the character! How cool is that? Now, did you notice the little lines above the words: dào and dāo? Those are the tone markers, and in this case they are both slightly different. These two characters have different tones so they are not exactly the same pronunciation. However, the sound-meaning compound has got us 90% of the way to being able to pronounce the character, all because some awesome ancient Chinese scribe thought there should be a shortcut to help us remember the pronunciation! Let's look at a few more examples of how 刀 is used in different words to give you an idea of the pronunciation. Sometimes the sound-meaning character gives us the exact sound and meaning. Sometimes it gets us in the ballpark. Sometimes it is way off because the character has changed over the last 5,000 years! Nevertheless, there's a clue about the pronunciation in 95% of all Chinese characters, which is a huge help for learning how to speak Chinese. 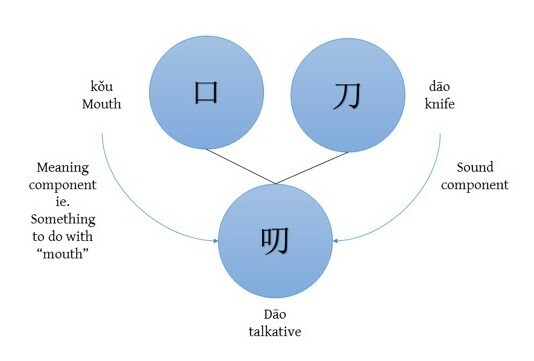 TAKEAWAY: Look at the component parts as a way to unlock the meaning and pronunciations of 95% of Chinese characters. In terms of “hacking” the language, this is the key to learning how to write in Chinese quickly. First we went from components to characters. Next, we are going from characters to words. Although there are a lot of one-character words in Chinese, they tend to either be classically-rooted words like “king” and “horse” or grammatical particles and pronouns. The vast majority of Chinese words contain two characters. The step from characters to words is where, dare I say it, Chinese gets easy! Unlike European languages Chinese's difficulty is very front-loaded. When you first study how to write in Chinese, you'll be confronted with a foreign pronunciation system, a foreign tonal system and a very foreign writing system. As an English speaker, you can normally have a good shot at pronouncing and reading words in other European languages, thanks to the shared alphabet. Chinese, on the other hand, sucker-punches you on day one… but gets a little more gentle as you go along. …then it's a matter of just memorising a whole bunch of stuff! That's not to say there isn't a lot of work involved, only to say that it's not particularly difficult. Time-consuming, yes. Difficult, no. This is quite different from European languages, which start off easy, but quickly escalate in difficulty as you encounter complicated grammar, tenses, case endings, technical vocabulary and so on. Making words from Chinese characters you already know is easy and really fun. This is where you get to start snapping the lego blocks together and build that Pirate Island! Here are some wonderful examples of the simplicity and logic of Chinese using the character 车 which roughly translates as “vehicle”. Chinese is extremely logical and consistent. This is a set of building blocks that has evolved over 5,000 years in a relatively linear progression. The same can not be said about the English language. Train, windmill, millwheel/waterwheel, tram/trolley, car/automobile, horse and cart/trap and pony. 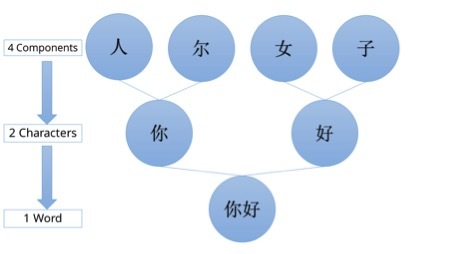 Unlike Chinese where these concepts are all linked by 车 there's very little consistency in our vehicle/wheel related vocabulary, and no way to link these sets of related concepts via the word itself. English is a diverse and rich language, but that comes with its drawbacks – a case-by-case spelling system that drives learners mad. Chinese, on the other hand, is precise and logical, once you get over the initial “alienness”. This logical way of constructing vocabulary is not limited to everyday words like “car” and “train”. It extends throughout the language. To take an extreme example let's look at Jurassic Park. Part of the fun for me (annoyance for her) was asking her the Chinese for various dinosaur species. Take a second to look through these examples. You'll love the simplicity! Don't try to memorise these characters, just appreciate the underlying logic of how the complex concepts are constructed. (Unless, of course, you are a palaeontologist…or as the Chinese would say a Ancient + Life + Animal + Scientist!). I couldn't spell half of these dinosaur names in English for this article, but once I knew how the Chinese word was constructed, typing in the right characters was simple. Once you know a handful of characters, you can start to put together complete words, and knowing how to write in Chinese suddenly becomes a lot easier. In a lot of cases you can take educated guesses at concepts and get them right by combining known characters into unknown words. For more on this, check my series of Chinese character images that I publish on this page. They focus on Chinese words constructed from common characters, and help you understand more of the “building block” logic of Chinese. TAKEAWAY: Chinese words are constructed extremely logically from the underlying characters. 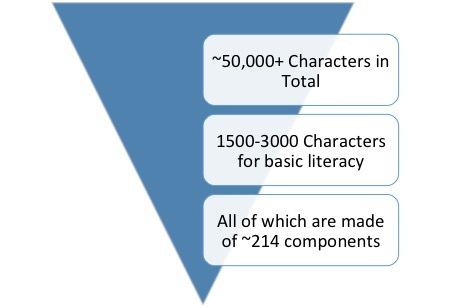 This means that once a handful of characters have been learned vocabulary acquisition speeds up exponentially. Before diving into learning characters, make sure you have a decent grounding in Chinese pronunciation via the pinyin system. The reason for this is that taking on pronunciation, tones and characters from day one is really tough. Don't get me wrong, you can do it. Especially if you're highly motivated. But for most people there's a better way. Learn a bit of spoken Chinese first. With some spoken Chinese under your belt, and an understanding of pronunciation and tones, starting to learn how to write in Chinese will seem a whole lot easier. When you're ready, here's how to use all the information from this article and deal with written Chinese in a sensible way. I've got a systematic approach to written Chinese which you can find in detail on Sensible Chinese. Right now, I'm going to get you started with the basics. Sounds technical huh? Don't worry, it's not really. This part of the process is about choosing what you put into your character learning system. If you are working on the wrong material then it's wasted effort. Instead choose to learn Chinese characters that you are like to want to use in the future. characters/words I've encountered through daily life. This is the “learning” part of the system. You take a new word or character and break it down into its component parts. These components can then be used to create memory aids. Hanzicraft.com or Pleco's built-in character decomposition tool are fantastic for breaking down new characters. These will be helpful until you learn to recognise the character components by sight. These tools will also show you if there are sound-meaning component clues in the character. After the “input” and the “process”… it's time to review it all! The simplest review system is paper-based flashcards which you periodically use to refresh your memory. A more efficient method can be found in software or apps that use a Spaced Repetition System, like Anki or Pleco. An important point: Review is not learning. It's tempting to rely on software like Anki to drill in the vocabulary through brute-force repetition. But don't skip the first two parts – processing the character and creating a mnemonic are key parts of the process. It isn't enough to just learn and review your words… you also need to put them into use! Thankfully, technology has made this easier than ever. Finding a language exchange partner or a cost-effective teacher is super simple nowadays, so there's no excuse for not putting your new vocabulary into action! Importantly, whilst you are using your current vocabulary in these forms of communication, you'll be picking up new content all the time, which you can add back into your system. 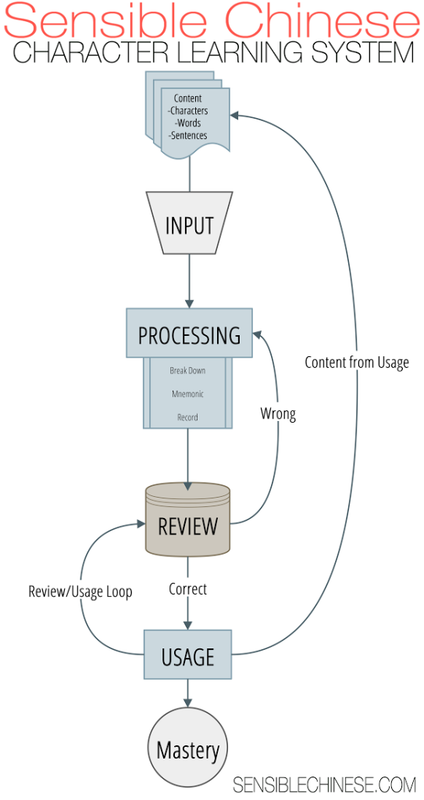 The four steps above are a cycle that you will continue to rotate through – all the corrections and new words you receive during usage should become material to add to the system. By building these steps into your regular study schedule you can steadily work through the thousands of Chinese characters and words you'll need to achieve literacy. This is a long-haul process! So having a basic system in place is very important for consistency. You can find out a lot more about The Sensible Chinese Character Learning System and how to write in Chinese here. 10 Things I Wish I Knew When Starting to Learn Chinese – a set of 10 beginner's articles to help you get up to speed with Chinese learning fast. Chinese Language Learning Resource List – a curated list of tools and content available online and in print to help your Chinese learning, all categorised by usage type. Sensible Character Learning System – the full system outlined in a series of blog articles for those who want more detail and tips on how to refine their character learning. And if you're struggling to understand fast, spoken Chinese, you'll want to check out Chinese Conversations. Conversations a set of dialogues, with transcripts and audio, that tell an intriguing story in 20 parts. It’s substantial listening material that’s tailor-made for intermediate learners. 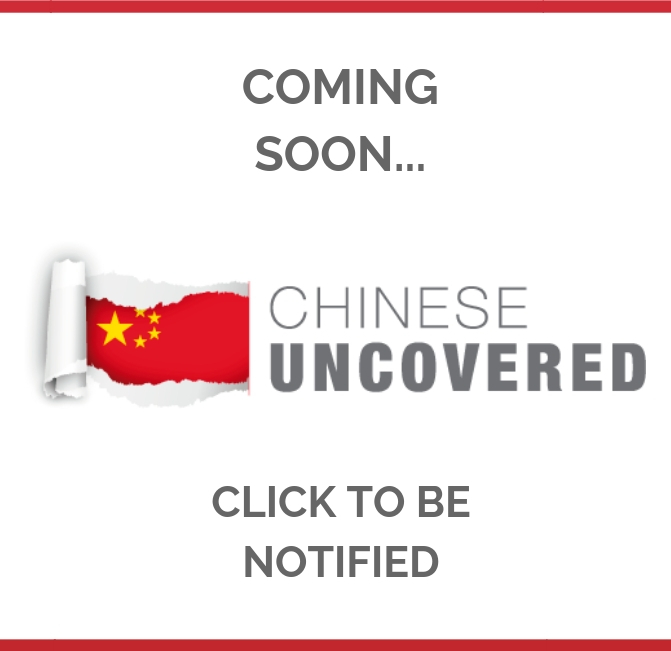 Conversations helps you understand real spoken Chinese and transform your listening skills in less than 90 Days. Find out more and get your copy here. 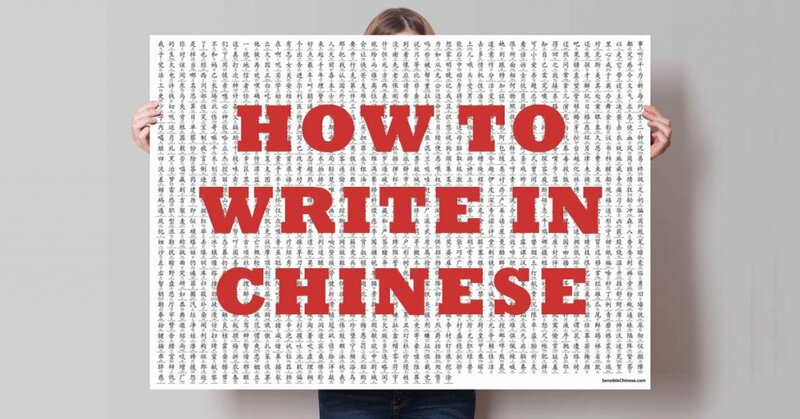 I hope you enjoyed this epic guide to learning how to write in Chinese! 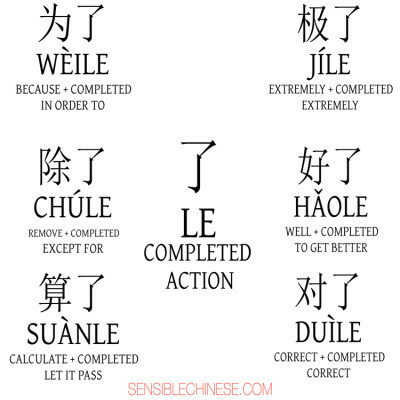 Please share this post with any friends who are learning Chinese, then leave us a comment below! Subscribe to my newsletter to receive my best Chinese learning tips, and get this article as a handy free PDF!